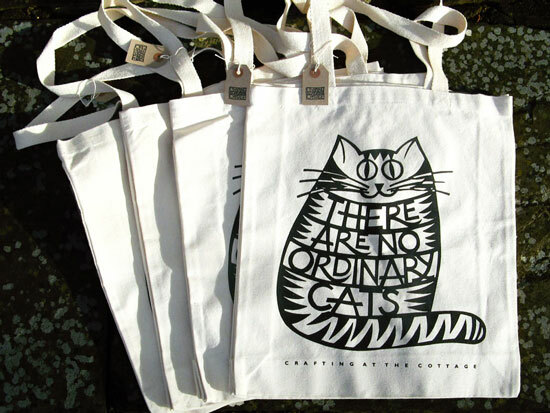 ‘There are no ordinary cats’ was the first design I made for my range of cards and it sold out on it’s maiden voyage to Art in Action so it seemed the obvious design choice for my first bag and is proving very popular. 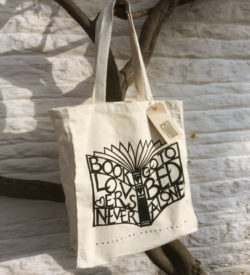 Generously sized at 42cm x 37cm x 11cm (16.5in x 14.5inx 4.3in) it’s big enough to fit a large cereal packet plus sundry items, and can accommodate an A3 sketch book. Made from a luxury quality, heavyweight canvas that has been pre-washed with natural webbing handles that are super strong, stylish and soft, so won’t cut in to your shoulders. 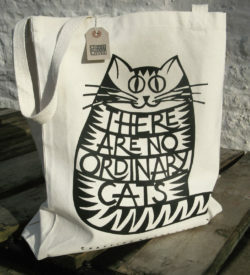 The purrrrrrrrrfect gift for the cat lover in your life!. Available in two designs, but if you want another please get in touch to register your interest.